The premium range of Crystal Clear media filters have been specifically designed for the efficient and hassle free filtration of water in swimming pools & spa pools. Call us on (08) 8162 5957 for pricing on this product. SKU: Davey Crystal Clear Media Filters. Categories: Davey, Household and Rural Pumps, Pool & Spa Filters. 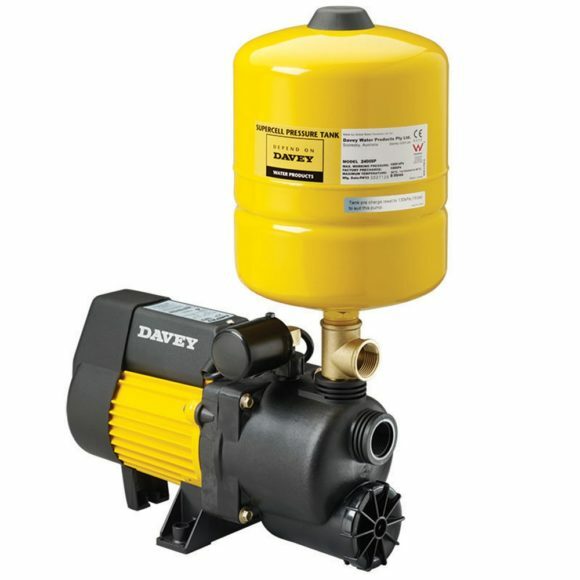 Davey’s Premium Fibreglass Media Filter, CrystalClear, includes a high quality Praher multiport valve for long and reliable service life , plus Davey designed T-laterals for more efficient filtration and backwashing with longer durations between backwashes. With models from the 21″ diameter tank to a 28″ diameter tank, the Davey CrystalClear Media Filters feature as standard, 6 way top mount Praher multiport valve, oil filled pressure gauge, sight glass and unions, 40mm and 50mm valve sizes and a strong and durable fibreglass inner tank, unlike many other plastic inner tank sections currently on the market. Includes premium quality European designed and manufactured 6-way multiport valve with integrated sight glass & oil filled pressure gauge for optimum filter control. Computer designed providing optimal tank strength and filtration performance. 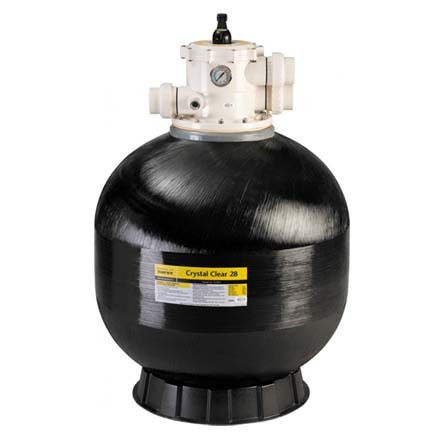 One-piece UV stabilised and filament wound fibreglass & polyethylene inner tank (PE 18”-25” models only) for superior strength and long service life. Large diameter tank for maximum filtration area. Davey’s T-lateral design provides effective media utilisation leading to efficient filtration and longer durations between backwashing. In backwash mode, the T-lateral design provides superior fluidising of the media bed, giving fast, efficient backwashing and water savings. Robust, ABS flexi-joint unions (18”-25” models) for easy installation and maintenance. Stainless steel oil filled pressure gauge makes it easy to see when backwashing is required. Automatic air bleed prevents the build up of air in the tank ensuring effective filtration. High rate design for maximum efficiency, suitable for sand, Zelbrite and silica media.